Now, I know I said I was going to stash bust my yarn haul this year, but this Rowan Amy Butler Belle Organic Aran yarn was £2.99, rather than £4.99. Bargain, no? I bought the last three balls they had left. 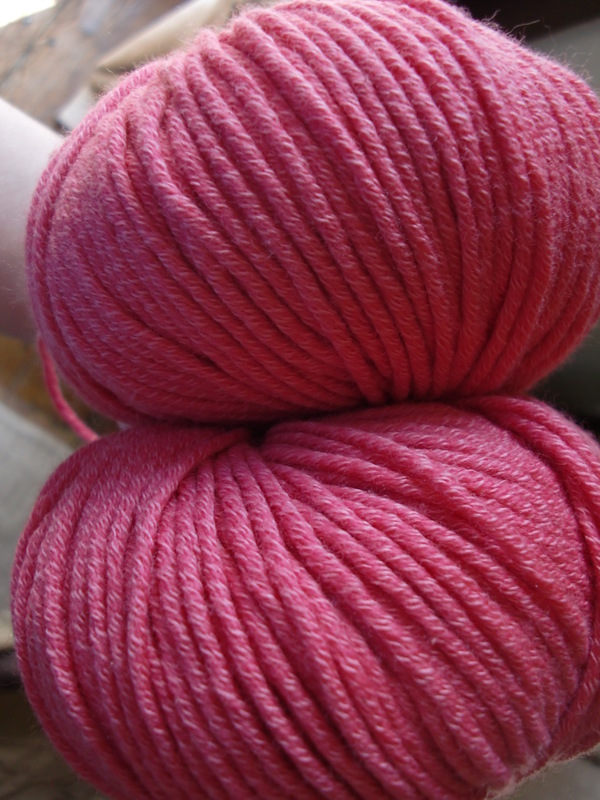 This yarn is the same as the yarn that I used for Emily’s In Threes, just in a slightly different colour way. So, I decided that I would use it to knit something for Charlotte. Three balls isn’t quite enough for a cardigan so I thought I might go for a shrug. I made a start the other night and joy of joys it is knitted in the round so no purling for me! !